Rom-coms don’t always have to be about the young; every now and then a film comes along and looks at what it’s like to fall in love in later life. I’ll See You in My Dreams is all about Carol, played by Blythe Danner, who, with friendship, love, and everything in-between, discovers that life can begin anew at any age. To celebrate its release on DVD, the UK’s leading Dating Expert and Breakthrough coach Jo Barnett shares her findings on just how it is being a mature dater and how to get ahead. When you are young you tend to fall in love more easily, there is a lovely innocence about seeing someone for who they are and enjoying their company. You both have a common goal and often this is wanting to start a family which becomes a big focus and can accelerate the relationship into marriage. Being in your late teens and twenties you tend to meet people naturally trough friends and dating seems to just happen. As people get older they go through life’s ups and downs, break ups and challenges. 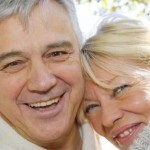 All of our experiences impact the way we trust and love and this makes finding a partner in later life more difficult. It’s also more challenging to find single people to date as it appears that everyone around you is married or coupled up. There is still a taboo about asking friends for introductions and those in relationships can get caught up in themselves before looking to help their single friends. If your marriage has failed and you find yourself single again in your forties and fifties there lies a whole new challenge. Your ideals of romantic love and living happily ever after have been shattered and you are left feeling fragile and cautious with your heart. This is often when people decide that they never want to make that mistake again and in doing so close their hearts to love, intentionally or unintentionally. To find love in later years means investing a lot of time and effort into meeting people as you no longer have that big group of friends to go out with. Some are simply not prepared to put in the time that it takes to go out and meet new people and instead settle for a life that is familiar and comfortable rather than fulfilling. For those who do want to love again there is plenty of help out there, mostly online and the advent of dating apps means that new love is at the tip of everyone’s fingertips. My advice to anyone looking for love is to first accept where you are and do whatever it takes to heal yourself from your past breakups. Create a new life for yourself, take up hobbies, go out dancing, meet with friends and really nurture yourself. When you are sitting across from someone on a date you want to be smiling, content and open, ready to find love again. Tips such as constantly updating your profile and your photos have been said before but can’t be emphasized enough! The people who are meeting and dating are constantly ‘on it’. This means having a real online presence: reaching out to new people by swiping ‘yes’, creating more matches and being willing to engage on instant chat, speak on the phone and arrange dates. Why not even enroll the help of a younger family member or friend who is already using these apps and sites, get them to set you up and share their top tips! It’s never too late to find love and someone will be out there waiting for you! I’ll See You in My Dreams is available now on Digital Download and on DVD. We have 5 copies of the DVD to give away – click here to enter.